For the last eight years actor/filmmaker/playwright Tyler Perry has created a pretty big name for himself. He was recognized for his plays and his hilarious character Madea. With the tremendous success of his plays he was able to create his own studio, in which he names Tyler Perry Studios. This studio represents Tyler Perry in all aspects. He owns all his movies and they are all under his studio, he playwrights and directs most of the movies and appears in quite a few of the films (some as multiple characters). As well as films and plays he is also responsible for the TV series, House of Payne and Meet the Browns. He has become a well know individual in the world of Hollywood and is admired and respected by fellow actors for his work. His writing for the plays and films reflect some events and issues he had experienced in his past, and all these aspects are reflected back through his studio. 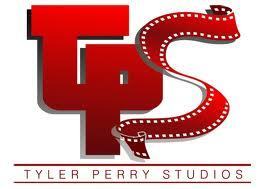 I believe his studio is a perfect example of who Tyler Perry is and allows others to see who he is and what he has done.